JECA offers basketball for middle school girls and boys (6th-8th grade) and high school girls and boys. The season runs from the end of October to the middle of February. Teams practice after school 4 to 5 days a week during the season, and games are usually twice a week at various locations around Nashville. At the heart of our basketball program is discipleship and mentorship. We use the game of basketball to equip girls and boys in such a way that they mature into womanhood and manhood—as a team—with each passing season. Basketball is but a tool for developing these girls and boys into young women and men who understand teamwork, dedication, commitment, honor, and respect. Winning games and scoring points isn’t what we are seeking most—though we clearly want to win each game we play and make each shot we take. Our deepest desire, though, is that the players will love Jesus more, respect each other and authorities more, and invest in their learning more simply by being a part of one of our teams. Pastor Jeremy Rose is the JECA Basketball Program Director as well as the head coach. Mr. Dustin Thomas coaches the high school boys, while Mr. Todd Colburn coaches the middle school boys. Mrs. Jill Rose is the coach for the middle school and JV girls. Preparations and tryouts for basketball begin in the summer. If you are a new JECA family, please make inquiry early on if your children are considering joining the basketball team. Cross Country was JECA’s first athletic program. This fall, our team completed its fifth season with about 20% of the school running. The team is coached by Mrs. 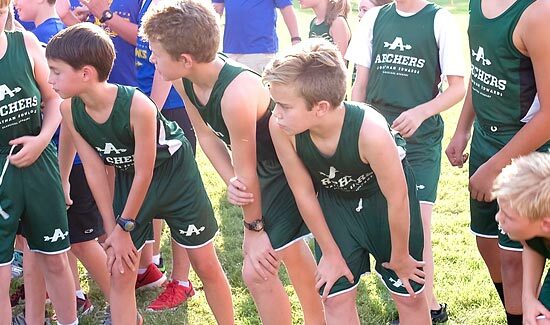 Brandy Fentress, and it competes on three different levels: 3rd through 5th grade team members run a race distance of one mile; middle schoolers (6th-8th grade) run a race distance of one and a half miles; and high schoolers run a race distance of 5 kilometers. Runners practice independently during the summer, and the team practices together three times per week from August-October. Meets are held once a week at various locations around Nashville. 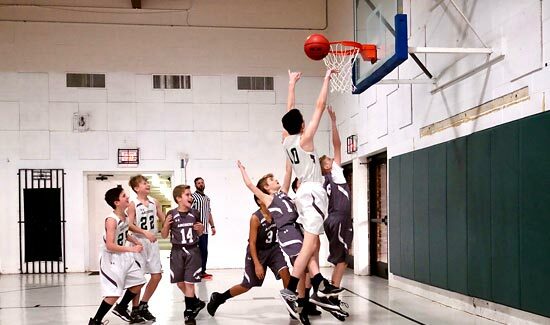 We participate in meets through our athletic conference, the TNCAA. We also offer a team for Kindergarten through 2nd grade runners which has a strong participation. They practice once a week and also participate in the weekly meets. Their race distance is a half-mild. Preparation for cross country begins in the spring. Please make inquiry early on if you are a new family considering joining the Cross Country team. JECA’s middle school and high school golf team is co-ed and open to players of all skill levels. 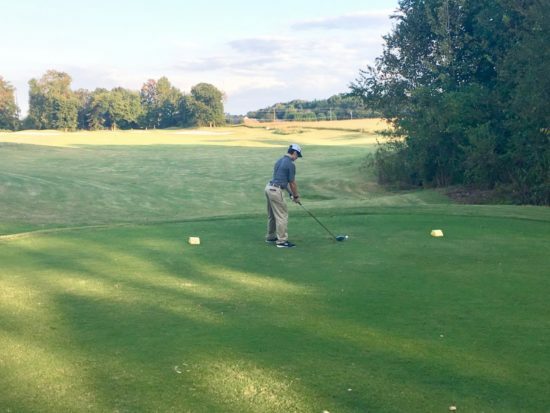 The team practices and plays at Nashville National Golf Links in Joelton with the season running from April to September. The team, coached by Mr. Nathan Haney and Mr. Alex Warren, is set to begin its third season in April 2019. 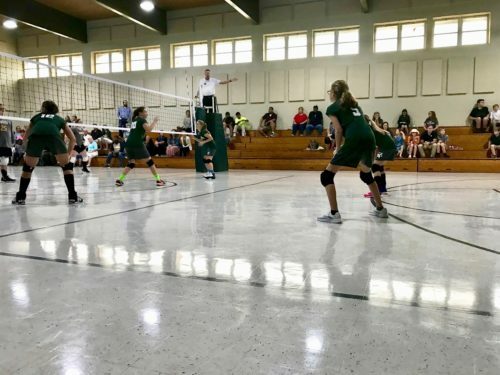 JECA currently offers girls volleyball for the middle school (6th-8th grade) level and will begin offering varsity(9th-12th grade) level for the 2019-20 season. The season runs from August through October. The teams participate in a summer camp and practice 4 days a week during season. Our teams spend practice time learning and building on basic skills in order to compete in one or two games a week against other schools in the TNCAA conference. Middle School coaches are Mr. David and Mrs. Jill King. Varsity coach is Mrs. Lindsey Rose. Preparations for volleyball begin in the spring. If you are a new JECA family, please make inquiry early on if your children are considering joining the volleyball team.